This item is temporarily unavailable via the Norton website, but it can be ordered through your favorite bookseller or online retailer. Sign up for the monthly New Releases email. 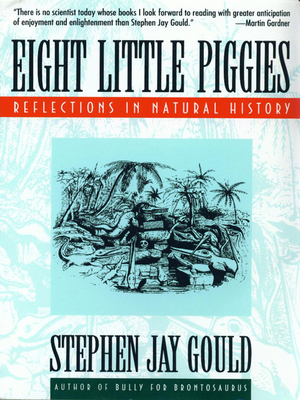 Among scientists who write, no one illuminates as well as Stephen Jay Gould doesthe wonderful workings of the natural world. 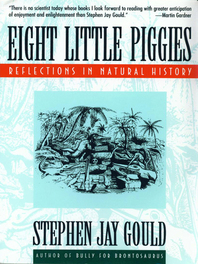 Now in a new volume of collected essays—his sixth since Ever Since Darwin—Gould speaks of the importance of unbroken connections within our own lives and to our ancestralgenerations. Along with way, he opens to us the mysteries of fish tails, frog calls, and other matters, and shows once and for all why we must take notice when a seemingly insignificant creature is threatened, like the land snail Partula from Moorea, whose extinction he movingly relates. Sales Territory: Worldwide including Canada, but excluding the British Commonwealth.